Before she was a teacher librarian, my mum was a high school art teacher and as a result we all spent much time painting, drawing and creating as children. PudStar is also rather enamoured with all things drawing related and can spend hours drawing on little squares of paper and collecting leaves to store in the cubbyhouse for leaf rubbings. Pud has lately been getting totally frustrated that she cannot draw everything exactly how it looks. My mum has been very patient in encouraging her to not think of her drawings as photographs – that her drawings are not about making a perfect image because we have cameras for that. She’s talked about art as being a different way of looking at something – to think about the colours and shapes, or what she sees and feels. We have a beautiful children’s book about Monet which I’ll share here sometime, and mum has shown PudStar how Monet captured the movement and sparkle of water and flowers with dabs of paint. In the holidays we all had lunch with author/illustrator Stephen Axelsen and his lovely wife, and Pud was rather taken with his very cool digital drawing thingo. She’s also been to enough book launches and Children’s Book Council events to know that book illustrations are done by actual people (believe it or not that comes as a revelation at some point to most children). Anyway, she announced a few weeks after lunch that she was going to be an artist ‘in about six weeks’ and would need an art studio. 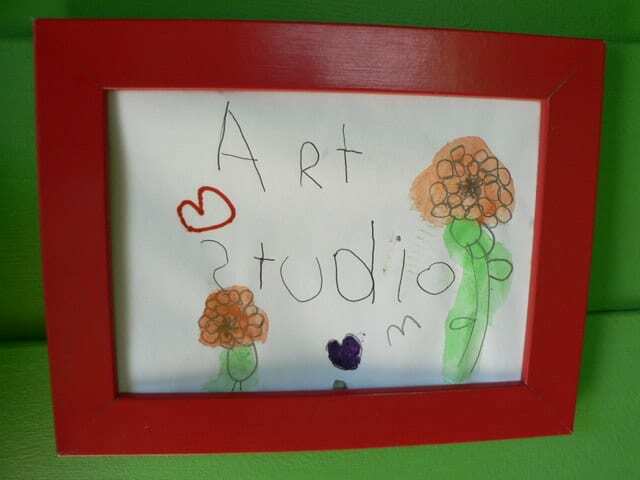 This was largely ignored by us, as clearly five year olds can’t demand art studios. 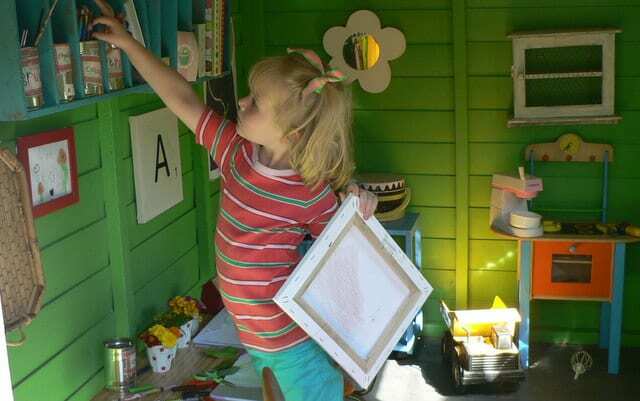 However if Pud is anything she’s DE-TER-MINED and she ran into the house a few days later and said that she was going to turn the cubby into her art studio, and started to gather up all her art supplies. The cubby did need a clean and we kind of figured she had been resourceful, so if she wanted to re-name the cubby her art studio surely there was no harm in that! We hunted through my pile of kerbside collection finds (Dan despairs at the piles of things I find!) and spent $13 at the op shop and had an art studio before the day was done. Real Life Check: at this point I would like to add that I was on school holidays and do not normally indulge in all day cubby redecorating! All we really added were shelves (which are kerbside collection drawers on their side) to keep art supplies out of the way of The Destroyer aka Chickpea. Photos clearly show it at its best. Let’s re-visit this in a few weeks and see the chaos and paint spills. 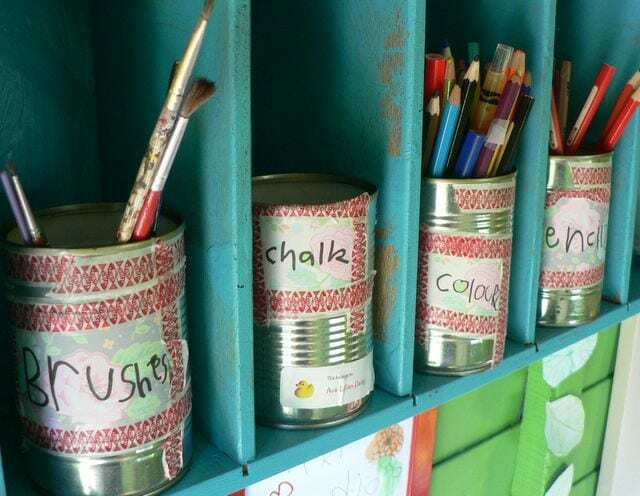 Please note: back when we scored the cubby from excellent friends and installed it at our place we decided we’d get mis-tint paints as they were only $5 a tin. Hence the kind of BRIGHT colours best viewed with sunglasses on. The colours have grown on me actually! 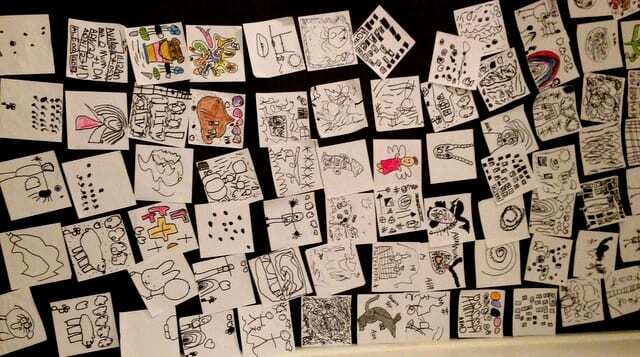 Anyone else have a child who plans to write or illustrate children’s books? What a great space. We just recently turned a space in our basement into our art studio. My 2 1/2 year-old just illustrated his first book that he dictated to me. That’s lovely! 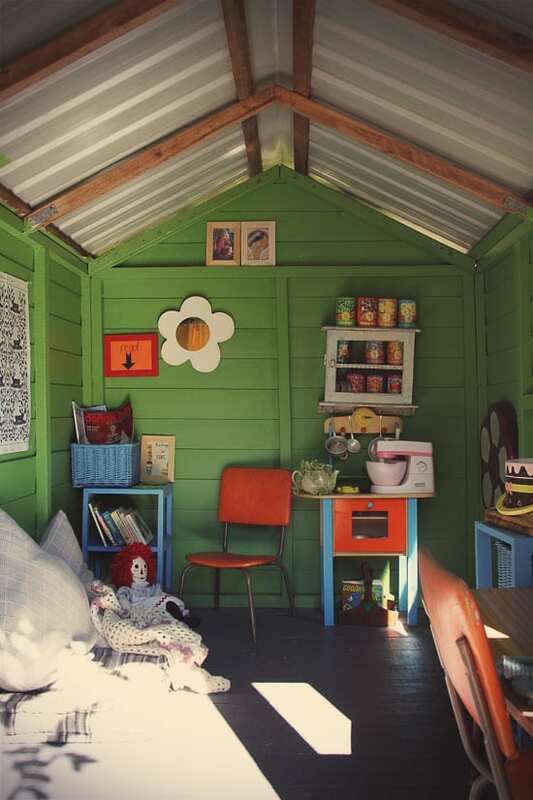 No basements in Brisbane…but plenty of cubbyhouses!!! Glad we inspired you! Mum will be stoked to see herself quoted! Love it. 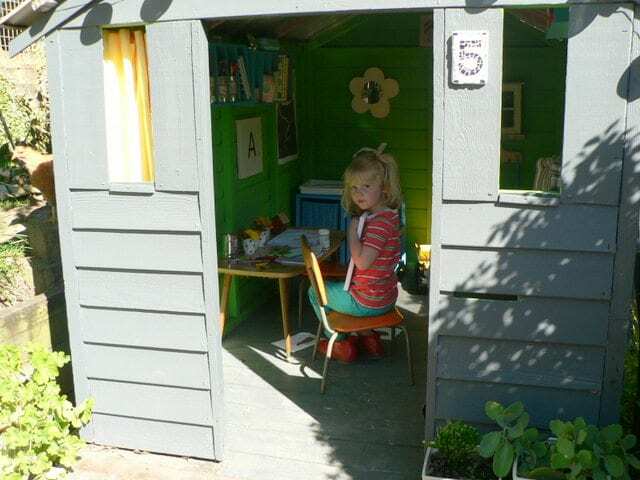 I so want to have an art studio for my kids thinking of turning the garage into one. Thanks for sharing. DO IT! Best thing we ever gave the girls. 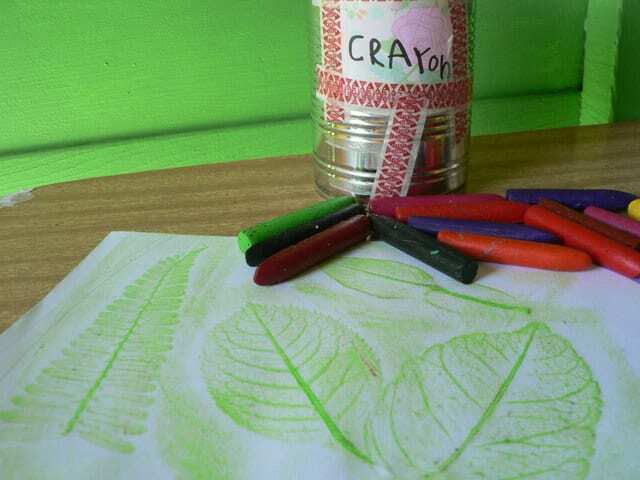 They hardly play with toys…but this art studio? ALL.DAY.LONG.